Sítio Caminho da Serra neighbors the Serra do Brigadeiro State Park (Lat -20.694282, Long -42.493361, Araponga, MG), some 273 km from Belo Horizonte (about 4 and a half hours), measures 7 hectares, and is at an average elevation of 1100 meters. 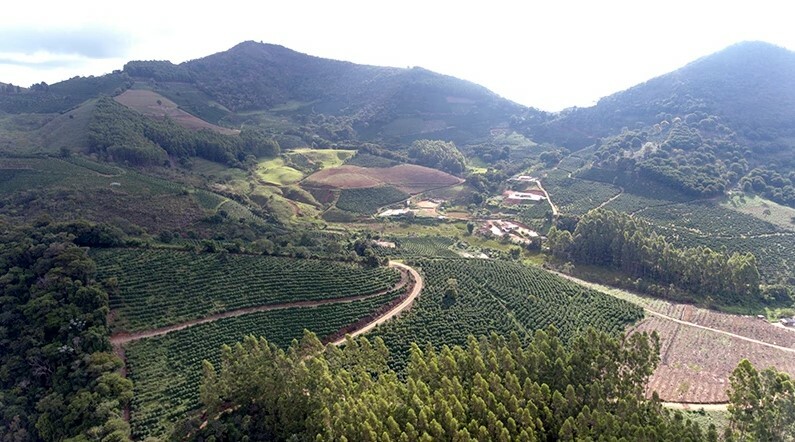 The property features pristine forests, a waterfall, soil rich in organic matter and subtropical climate with an average temperature between 10 and 22°C, all of this makes the area great for producing mountainous specialty coffees. Sítio Caminho da Serra is near Serra das Cabeças (Mountain Range of Heads), a set of three rocky outcroppings. One of them is called Mamute (mammoth), another is known as either Indian or Chinese, and the third is unnamed. The mountain is among the highest peaks in the Brigadeiro State Park, at 1853 meters of elevation. From the top of the first “head,” trails to the other formations can be seen. From any of the three “heads,” one has a beautiful panoramic view of the other areas of the Park, as well as of the mountain chain.The farm was acquired more than 30 years ago by the Miranda family and is now in its third generation. 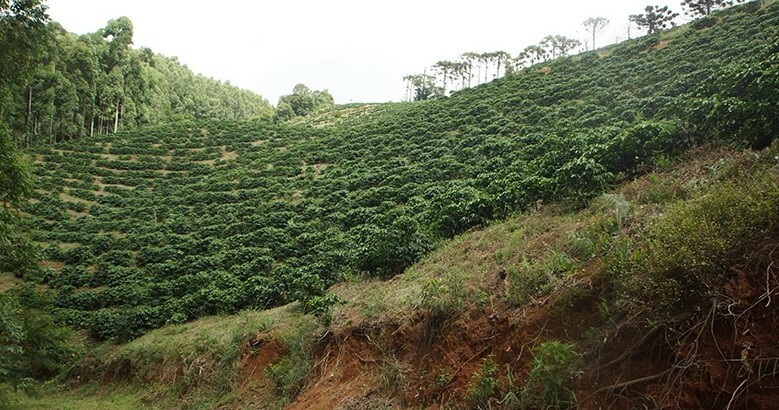 The main activity on the farm is the production of Arabica coffee, and the trees range in age from 3 to 30 years. The coffee fields are wooded with Australian cedar which provide shade and a cooler atmosphere for working in the fields. Crop treatment, picking and drying are all done manually with the goal of creating jobs and increasing family income. In addition to coffee, the farm also produces some corn, beans, fruits and vegetables for neighbors, workers and partners. Caminho da Serra is located 5 km from the city of Araponga and is inside a forest reserve with pristine forests, rich with springs and native plant species such as bromeliads, orchids, muruçis and cecropias, and give emphasis to preservation of the environment. 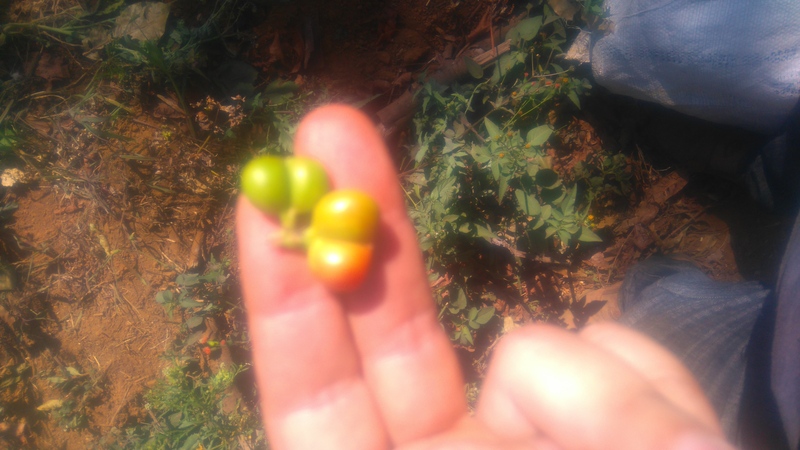 In the wet method, first the coffee is washed and cherries are separated based on stages of maturation. Then this material goes to the pulper, which removes the hull and pulp. To get rid of the mucilage, which is still on the fruit, the coffee is immersed in fermentation tanks and then washed. of the Park, as well as of the mountain chain.The farm was acquired more than 30 years ago by the Miranda family and is now in its third generation. 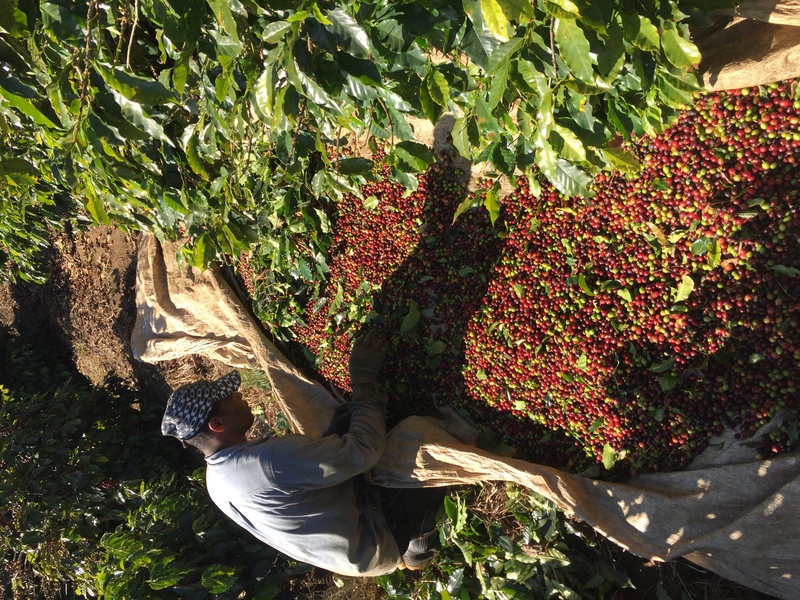 The main activity on the farm is the production of Arabica coffee, and the trees range in age from 3 to 30 years. The coffee fields are wooded with Australian cedar which provide shade and a cooler atmosphere for working in the fields. Crop treatment, picking and drying are all done manually with the goal of creating jobs and increasing family income. In addition to coffee, the farm also produces some corn, beans, fruits and vegetables for neighbors, workers and partners. Caminho da Serra is located 5 km from the city of Araponga and is inside a forest reserve with pristine forests, rich with springs and native plant species such as bromeliads, orchids, muruçis and cecropias, and give emphasis to preservation of the environment. 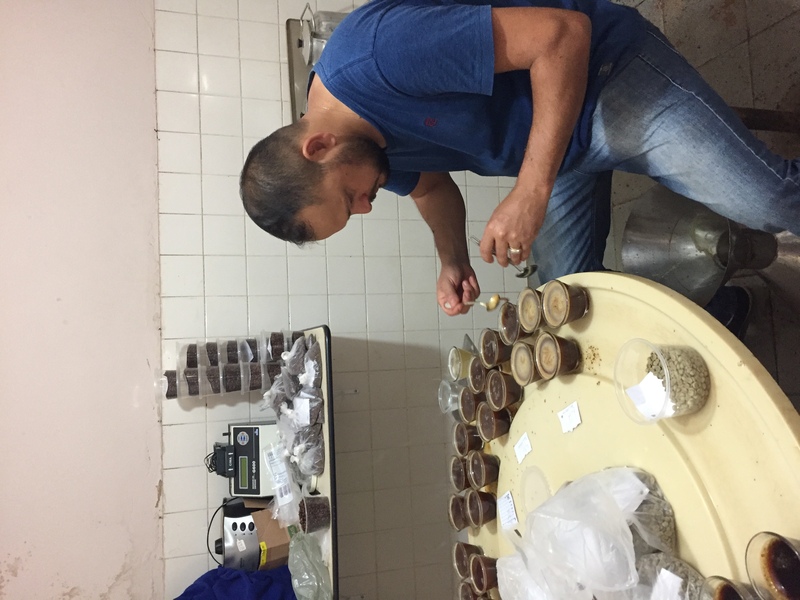 In the wet method, first the coffee is washed and cherries are separated based on stages of maturation. Then this material goes to the pulper, which removes the hull and pulp. 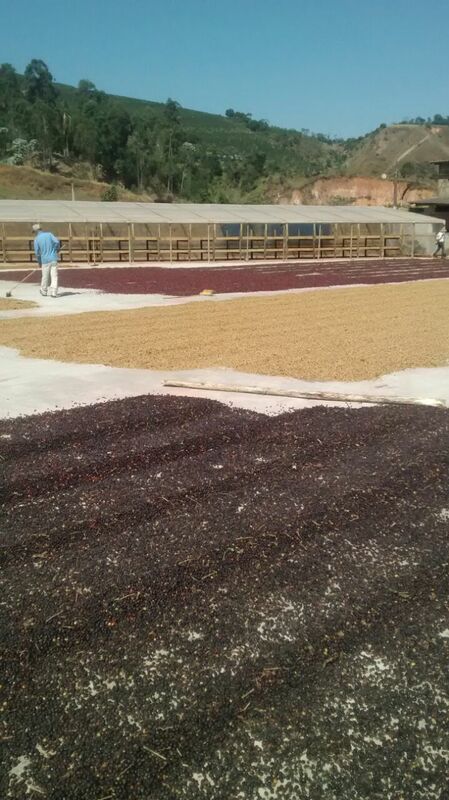 To get rid of the mucilage, which is still on the fruit, the coffee is immersed in fermentation tanks and then washed.